It takes extraordinarily talented people to bring you the programs you enjoy on WYPR. With the growth at WYPR we will occasionally need experienced self motivated people to work in several departments. If you are highly qualified and would like to inquire about one of these positions, please submit your resume by e-mail. Regretfully, we cannot accept telephone applications. Thanks for your interest in WYPR. WYPR is a long-standing, reliable source of news, captivating programming and community engagement in the greater Baltimore and Maryland region. The mission of Your Public Radio Corporation is to inform, connect and even challenge the listeners we serve in the metropolitan Baltimore area and the State of Maryland by broadcasting programs of intellectual integrity and cultural merit so as to provide an unbiased perspective of the events of today and to enrich the minds and spirits of our audience. WYPR 88.1 FM, serving Baltimore and beyond, seeks a full-time Membership Associate to support its Membership Department in reaching its full potential and collaborating on fresh and innovative ways to reach new and existing members. Qualified candidates will love public radio, be creative, and have impeccable customer service skills. Develop a vision for identifying, cultivating, and engaging with potential members as well as connecting with current members. Conceptualize, plan, and execute membership campaigns throughout the year, including two on-air pledge drives. Manage the data input for incoming membership revenue. Maintain the membership database with particular attention to detail and reporting functions. Execute all membership communication efforts focusing on segmentation and returns. Draft marketing materials for communication with members including letters, emails, social media, and newsletters. Suggest opportunities for WYPR to partner with like-minded organizations in the Baltimore area to reach potential members. Analyze membership goals in order to support growth. Work with our Digital Producer to design and execute social media efforts for the Membership Department. Bachelor’s Degree or equivalent education and experience preferred. Proven experience maintaining and interacting with a large database. Customer service experience and the desire to assist every member request. Proficiency in Microsoft applications (Outlook, Excel, Word) and email marketing platforms. Thorough understanding of and proficiency with marketing and social media platforms including Facebook, Instagram, Twitter, LinkedIn and Snapchat. Represent WYPR at events and public functions on evenings and weekends occasionally as needed. Self-motivated and ability to work independently and as part of a team. Candidates should submit a cover letter (please cite referral source), resume, and two references to Business Manager, WYPR, 2216 N. Charles St., Baltimore, MD 21218, or to jobs@wypr.org. Minorities and women are encouraged to apply. WYPR is an Equal Opportunity Employer. The Board of Directors is seeking a President/General Manager who is a mission-focused, business-minded leader with a passion for public media and with the capacity for community engagement. It is critical that the President/General Manager is an idea generator who captures opportunities and explores new ways to expand the WYPR brand and product offerings to serve a broader target audience and strengthen WYPR’s competitive position. The ideal candidate will bring a verifiable community building sensitivity and entrepreneurial spirit to WYPR. The President/General Manager will oversee all operations and lead an organization of professionals in broadcast and digital content operations, news, engineering, fundraising, corporate underwriting, membership, marketing and communications, board relations, finance, and human resource management. This is a high visibility position in the community with regular interface with board members, key external business partners, and members of the greater Baltimore and Maryland regional arts, education, and public affairs communities. Experience in managing an organization in public media or a similarly values-driven organization. Experience in dealing with a volunteer, non-profit board and in building board capacity. Experience in revenue management and content management. Proven success in raising funds and managing fundraising campaigns. Leadership ability to inspire top performance from staff. Strong communication skills and a transparent leadership style. Comfort with being the community “face” of WYPR and a desire to seek out engagement with donors, underwriters and community leaders. Experience in effectively achieving results with limited resources. WYPR-FM, Baltimore’s NPR News station is looking for an experienced Part-time Bookkeeper to assist in managing our day-to-day accounting and finance requirements. Confidentiality, excellent organizational skills and accuracy are important qualifications for this position, as well as good customer relations and the ability to communicate clearly. The ideal candidate is a skilled multi-tasker, reliable and committed to consistently meeting deadlines. A result oriented, optimistic approach to work. Experience in bookkeeping (at least 3 years), working in accounts payable, accounts receivable, and general ledger. Experience with data entry, record keeping and computer operation. Proficiency in Microsoft Office, Excel. Experience with QuickBooks or similar software is preferred. Come join us….we will work hard, and have a great time doing it!Job Type: Part-timeSalary: $18.00 to $23.00 /hour Submit cover letter (cite recruitment source) and resume to Vice President of Finance-WYPR, 2216 N. Charles St., Baltimore, MD 21218 or to jobs@wypr.org. No phone calls, please. WYPR is an EOE. When jobs are posted, please submit cover letter (cite recruitment source), resume, and references to the address below. Make sure to include audio samples if required . 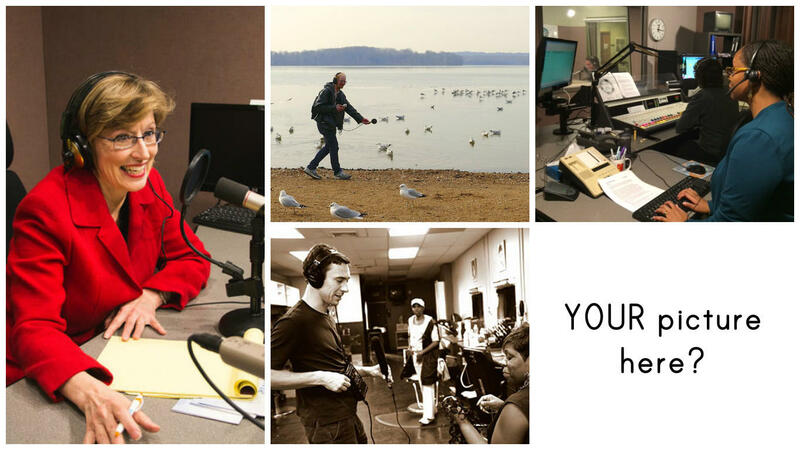 Or your application package can be emailed to jobs@wypr.org. No phone calls, please. Minorities and women are encouraged to apply. WYPR is an Equal Opportunity Employer.